Nose: Nice complexity, finesse, sweet spices, floral atmosphere, yielding freshness and the desire to dive into it. Palate: brioche, touch of exotic fruits, wood and spices perfectly harmonized. The fresh, cheerful S.O.B. 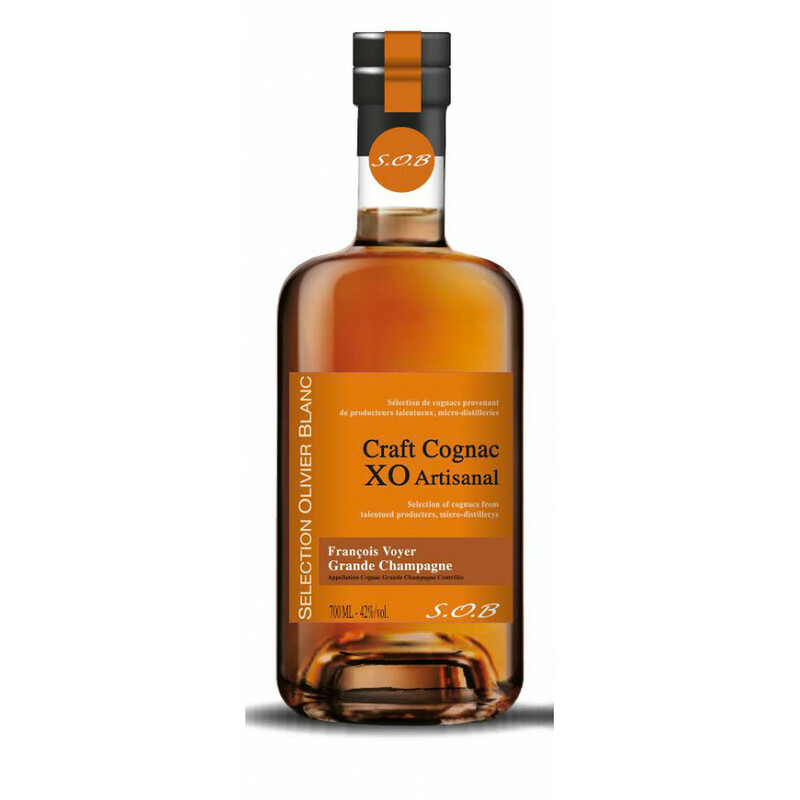 XO Artisnal Francois Voyer Grande Champagne Cognac is part of an exclusive brand that encompasses a select group of traditional, artisan Cognac producers. This XO quality Cognac has been produced solely from Grande Champagne eaux-de-vie, and the whole production process has been carried out in the time honored traditions of the small, hands-on Cognac producer. From the privately owned Grande Champagne vineyards, to the home cellars and distillery, right through to the in-house bottling process, every single step of production has been a labor of love and passion. The end result is a truly high quality XO, which will delight those who love a floral, spicy, fresh aroma and taste that takes you on a wonderful sensory journey. Another Voyer cognac in SOB's new artisanal selection range.. I think this is the best cognac out of the whole range (haven't tasted the $300+ bottle though). The value is excellent, i totally love the nose.. very complex and elegant.. nice hints of spicy vanilla I'd say. Nevertheless I am a bit reluctant when it comes to bottle design.